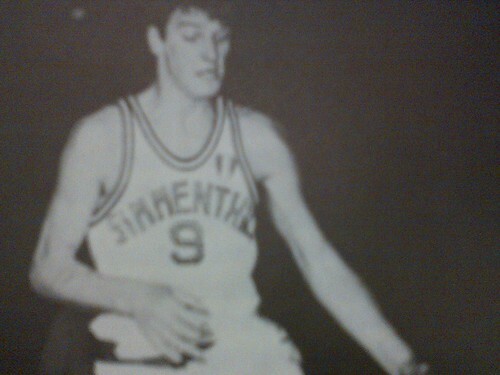 A Gorizia native, great scorer, and twice the Italian league leading scorer, Paolo Vittori was a very skilled small forward more than a fighter. In the Sixties, he was a star, playing in three Olympics edition, from Rome 1960 when he was 22 to Mexico City 1968 when he was 30. Vittori left Gorizia to play for Motomorini Bologna and after that came to Olimpia Milano. He wore the Simmenthal jersey for six seasons, winning the title in 1960, 1963 and 1965, legitimating the latter with the scoring crown, and finishing three times in second position. He left Milano in 1965, ironically just before winning the European title that conquered twice in Varese where he moved there. The trade made big noise at the time and to a certain degree it ruined Vittori’s legacy in Milano, in spite of his terrific play and results. Back in the Sixties and Seventies, moving from Varese to Milano or the other way around was big news. The move made by Vittori wasn’t an exception, in part because he was in his prime time.